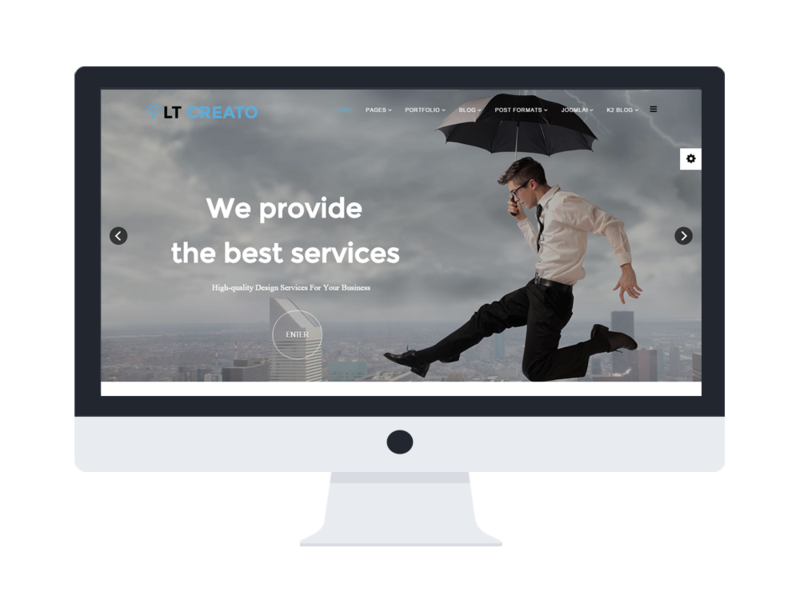 LT Creato is a Joomla Creative template that tend to Image Design and Creative agencies websites. It builds on Creative Joomla template framework supports Page Builder, Mega Menu, Unlimited Position layout and multi-language with 100% responsive modern layout. More than that, LT Creato also supplies a flexible homepage combine boxed with the full-width layout and 4 color styles. Create an excellent performance for your site by this amazing template now!